Hello everyone! Well, here it is Monday morning. I just wondered where the weekend went. The weather has been beautiful but hot, hot, hot! I would like to thank everyone for the nice comments on my projects. It's always good to get some feedback on these creations. For today's project I have a stationary box that I saw on SplitCoastStampers last week. 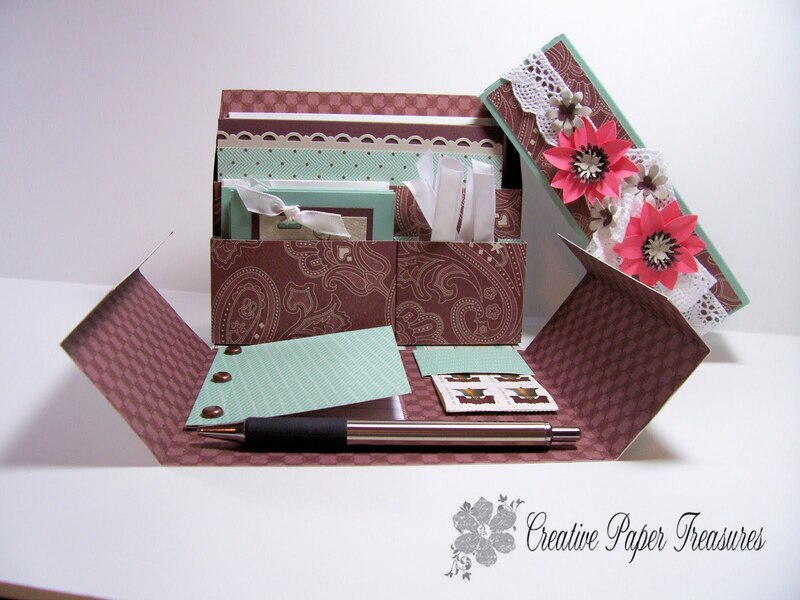 You can get the tutorial for making this stationary box here. This statonary box makes a really nice gift for that someone you don't know what to get. 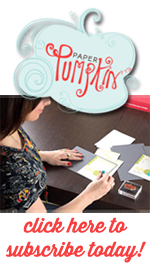 It has a compartment for six regular size cards with envelopes, 3 x 3 gift cards, tags, a little note book for addresses, postage stamps and a pen. 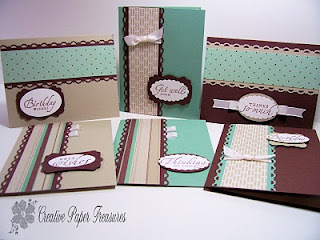 I used Stampin Up To the Nines designer paper from the 2009-2010 catalog that I had laying around. I'm not sure if I really like the way this came out using this designer paper. For the cover of the box, I wrapped some lace trim from my stash and made the flowers with the five petal punch using Cameo Coral cardstock. I didn't have a pen to personalize for this stationary box so I just laid a pen down so I could take this picture. I made six cards to put in the box. 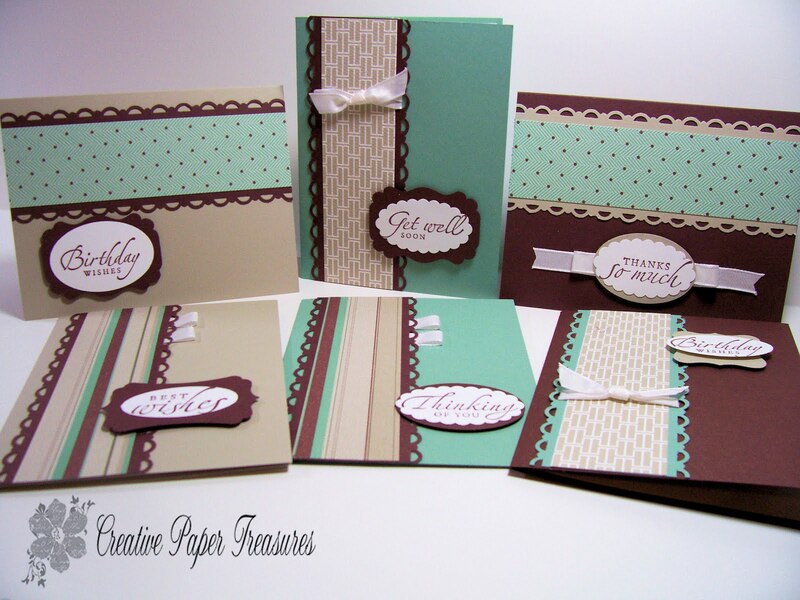 The cardstock used is Chocolate chip, Sage Shadow, Sahara Sand and Whisper white. 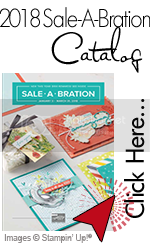 The stamp set used is Stampin Up Sincere Salutation with Chocolate Chip ink. I used Stampin Up Whisper white taffeta ribbon along with the scallop and oval punches. On the left are the 3 x 3 gift cards and tags. I used a non-Stampin Up stamp for the sentiment on the gift cards. Vintage Vogue stamp set with Chocolate chip ink was used on the tags. I hope you like this project and it inspires you to make one for yourself or a gift for that special someone. As always, I welcome any and all suggestions so please feel free to leave me a comment. loved this stationary box!! Perfect gift for person with their own desk as well. I already went to SCS gallery n saved the tutorial!! thanks for showing us! !